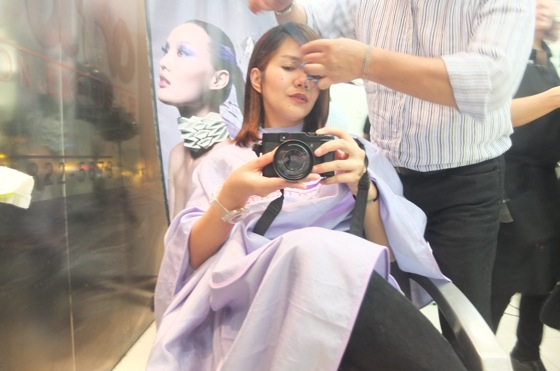 Thoughts On a Hair Cut+Color: My JuRo Salon Exclusif Experience! This is my hair sob story: I am a full-time, hands-on mom to my 1 yo daughter, with no time to even condition my hair in the bath. 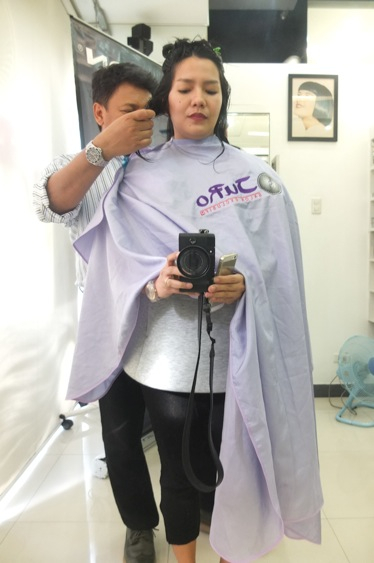 I haven’t been to a salon in nearly a year because I can’t afford to be away from my baby, and I’ve been going to the same hair guy in Ermita since I was 18. And oh, out of desperation, I even hacked at my own hair some months ago..so yeah, pretty pitiful. To be honest, I never cared so much about my hair, I never even comb it more than once a day, much less blow dry! I dont know why I prefer looking disheveled all the time (I thought I looked cool?) or distraught on a tight bun other times. 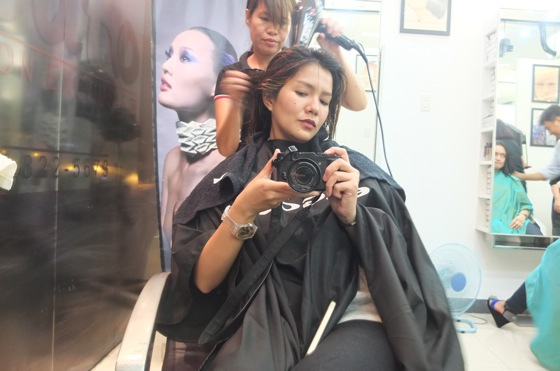 Well, I don’t want to go all hair-confessional on you guys, but I had the urge to introspect about all these after having what seems to be the single life-changing moment in my [hair’s] life: a visit to Jude and Rose of JuRo Exlusif Salon. 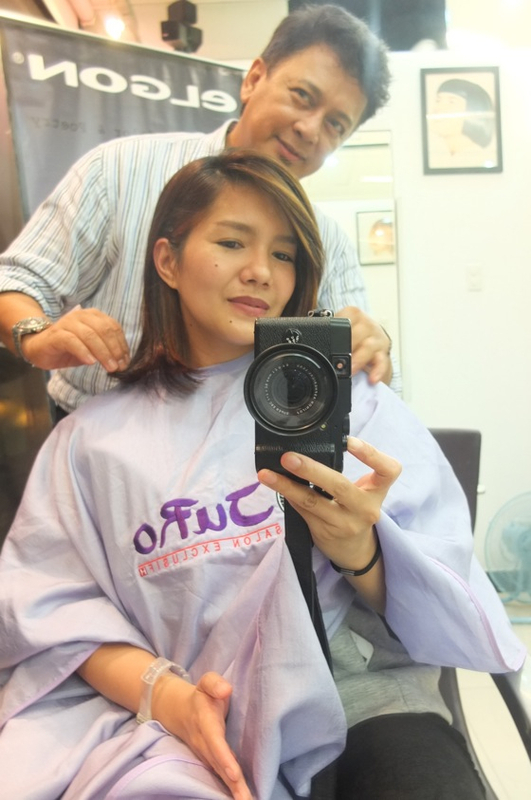 I suppose you’ve heard about the almost mythical duo, Jude Hipolito cuts, Rose Velasco colors. It’s really as simple yet as powerful as that..yet..there’s nothing extravagant or snazzy about their salon, tucked in one of the less busier streets of BGC. I get easily wary of fanfare, and I’m glad that shy me (coz I booked at the last minute!) was ushered in warmly by Rose, and I was told to wait for Jude so he can analyze my hair. You can tell right away what a passionate person Jude is—from the way he talks to the way he touches your hair, he is vibrating with creative energy! He’s also genuinely interested about people (and in this case, me!) asking questions and making sensible conversation..none of the airs a hair stylist of his caliber can righfully claim. So then he proceeded on cutting my hair—standing up! For him it makes it better to see you and your hair eye-level, as opposed to looking down. It’s funny because they way he describes cutting straight lines on curved surfaces echoes so much of my profession (and yes, he initially wanted to be an Architect, that’s why!). I’m sorry I won’t be able to describe what my hair cut’s called and how it was done—I was too busy chatting up Jude! I just told him I wanted to keep the lenght of my hair (as I need to be able to tie my hair back) and have less of it! I’ve always had thick hair, made even thicker by my post-preggo hormones. So he had to work around that, while getting rid of the the wispy tail ends which are a result of overly thinned out hair. He warned me though that keeping this length would be tricky and prone to fly-aways. I really wish I can go shorter, but I can’t commit to a change in hairstyle yet as I simply won’t have the time to mind it. Another time, maybe. 1. 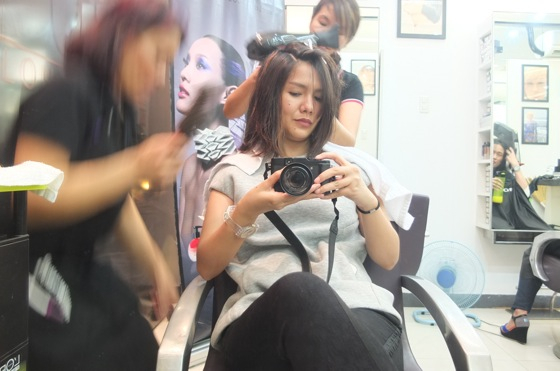 A good haircut is a haircut that suits you, and it takes an eye to see what’s bagay. But not just any eye, it should be someone who has a deep database of hair types and head shapes, someone who pretty much has seen them all. And well, Jude sort of has..he has cut the young and the old, the straight and the curly, locally and abroad. He and Rose even teach the craft, and travel periodically to train and learn/update. So yes, he has the eyes and the experience, no doubt about it! 2. Translation is as important as execution. It’s really the biggest hurdle for hair stylists, I feel–to translate what they envision to the texture of your hair, to the shape of your head, to your personality and lifestyle. That is by no means an easy feat, that’s why choosing who to entrust your hair is key. I also asked Jude what, for him, makes a good haircut and among other things, it’s balance. It means to me, however which way you view, style and touch and pull your hair, it should look as though it comes from one cohesive whole. Now, no matter how I toss my hair about, it falls back in its intended shape. Again, only the very skilled execute and pull this off. After that, was color with Rose. And this part was actually more exciting for me as I never had my hair coloured since college! I was so happy that Rose opted to do a balayage on me, keeping my natural hair color as a base, and then freely applying, no make that painting, the color on to sections of my hair, some distance from the roots. I tell you the whole process takes on an almost entrancing/meditative turn, witnessing a painter do her work. Which brings me to points 3. Creativity and 4. Chemistry. Rose is an artist as much as she is a professional. 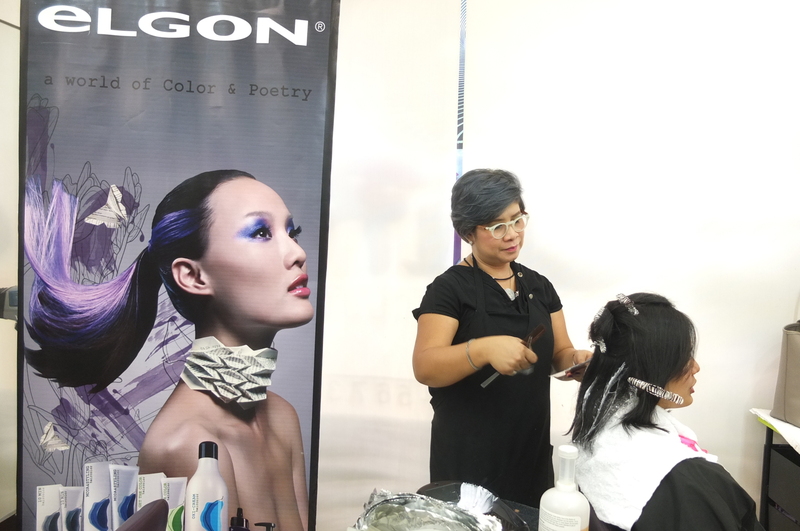 She has formally trained in the art and science of hair color, and does nothing but at the salon. 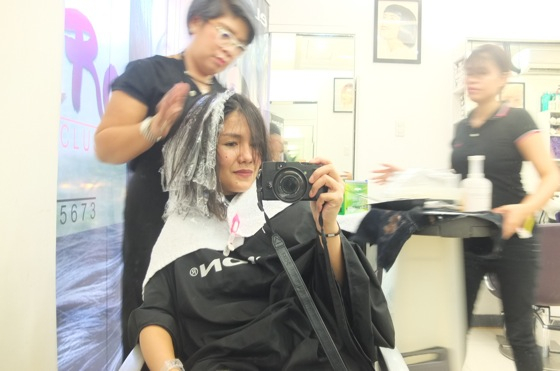 I was actually shocked upon realizing how other salons leave the coloring to the assistants, with the main hair stylist just barking out the code and checking in on you from time to time. Rose, who does all coloring procedures herself, pointed that out to me and I shudder at the thought, how true! Now back to my hair which at this point has been rinsed out, and is yet to go another round of toning. I was so happy seeing my hair come alive with the strategic color application! This was done with careful consideration of the haircut which Jude did, and I’m so glad that Rose gets to do it on me coz the two are just so in-synch! Creativity means being able to see beyond the given, and Rose was able to elevate the cut even more with the ingenious use of highlights. But that’s not it yet, apparently! I’m due to another round of toning, which will take out the brassiness out of the initial color. 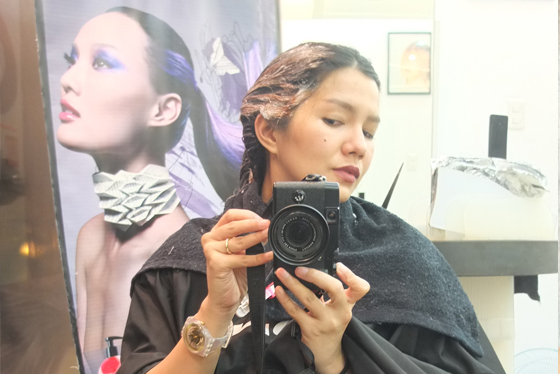 To be honest, I was quite worried about that, coz I don’t know how my inexperienced hair will take another round. But it was quite alright, as my hair was treated plenty in between washes. And of course, my fears are based on hair color horrors of my past. This is where knowledge of chemistry comes in handy, more in terms of using chemicals in the right doses and combinations. Imagine if it were done by someone who doesn’t..er, no need to imagine, I’m afraid we can easily spot some examples. Rose was pleased with the result, while I couldn’t stop running my hands thru my hair to see how the streaks of color appear and reappear each time! I’m also thrilled that while amply colored, the effect was subtle and lived-in–mostly because the balayage technique focused the color away from the roots and expertly weaved in to my thickness of my hair! Yay for low-maintenance! Then, Jude comes back after my hair was blow dried to check and make a couple of snips here and there. He even reassigned my hair part to the side making the cut and color much more pronounced! The cut I got, while not terribly revolutionary, is balanced, manageable, subtly colored and most importantly for me, healthy-looking! What a boost a good cut and color can give you! 5. Consistency and maintenance. I have long accepted the fact that my hair never looks as it does when I leave a salon. But in this case, I was quite excited for how it would look like after a wash! I am confident I’m going to love it because my hair was done to such exacting standards and creativity, I mean, I’ve sat there for five hours! And I realised you shouldn’t have to share this fear/resignation every time you sit at the salon, if you only have a real relationship with your stylists. 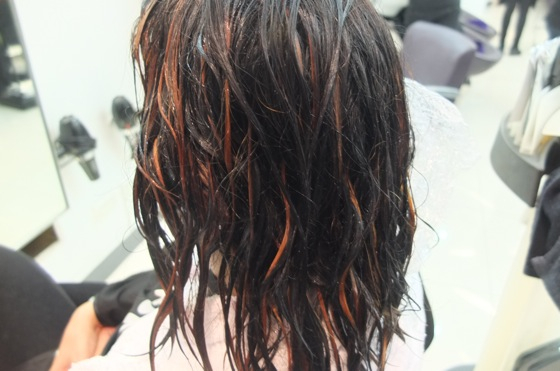 You need not only pay to get immediate results, rather one that lasts longer than the blow dried version of your hair! This is my hair now, after a shower, no blow-drying whatsoever. It has a revitalised bounce to it, and volume that I can manage even without styling aids. Thank you Rose and Jude for such a great learning and beautifying (!!!) experience. If any of you has hair that’s been giving you trouble, or at least hair that’s stayed so uninspired for so long, consult with Jude and Rose! It’s an experience you owe to yourself! For more information, LIKE their page JuRo Salon Exclusif on Facebook and FOLLOW their Instagram at @jurosalonexclusif. PR Invite. All opinions are honest and entirely my own. 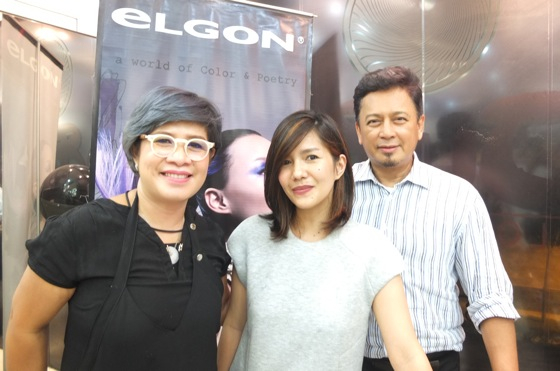 Tags: Elgon, hair, hair color, haircut, Jude Hipolito, JuRo, Rose Velasco, salon. Bookmark the permalink. 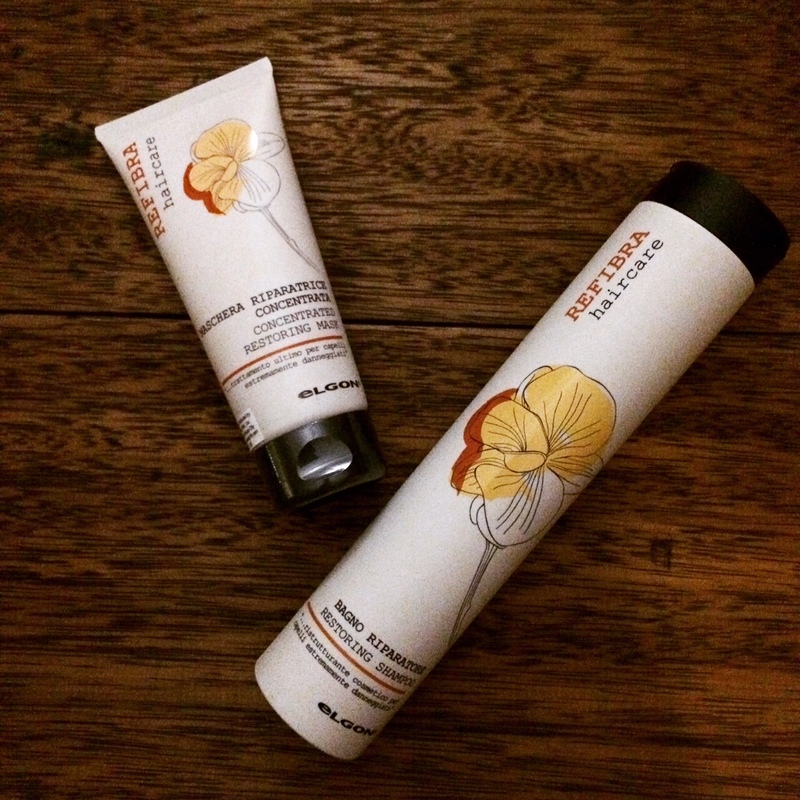 Previous post ← The New Céleteque DermoCosmetics: 2x the Benefits and Be 2x Beautiful! Ughhh you had such a nice experience and your hair looks great! I wonder when I’ll finally pull the trigger on this. Haha! I’ve also been to the same person more or less consistently over the years, and I’m afraid to go anywhere else because they misjudge my scalp. Subtle changes but really nice impact, especially with the hair color! And he really has managed to keep the length, just as you requested! I was setting aside money for this! So when I got the e-mail from Krissy, I almost fell on my chair. I don’t fuss over my hair that much, too. I feel like it’s low maintainance — straight-ish and easy to pony tail. After the experience, I don’t know how I’d be able to go back to just looking for a salon at a mall and having my hair trimmed. Anyway, I like your hair! Both cut and color is perfect! Seriously, I don’t know how the do it — how you go out of their salon looking like you can conquer the world. Can you tell me how much is the service cost all in all, or a rough estimate? I really want to try Juro but I’m afraid it might be too much for me.Thank you! On Other Matters: Basic Makeup Workshop with Sam!